Established in 2001, the Calamari Brothers were born and bred on the Mornington Peninsula. Their pursuit for quality calamari spawned from the clear waters surrounding Flinders. 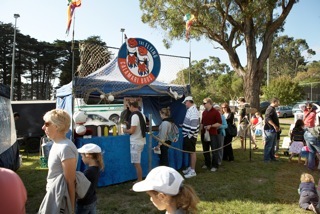 Today the Flying Calamari Brothers can be spotted frequenting the local markets and festivals throughout the Mornington Peninsula and greater Victoria. Once we have rounded up enough calamari it's off to market we go. 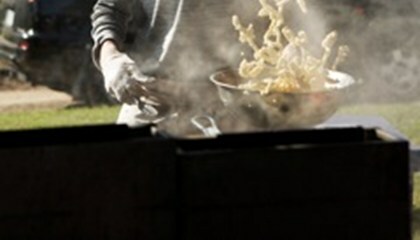 On demand we apply our magic, providing fried calamari in a light batter. Tossed in some salt and pepper and it's yours to sample. Don't forget to try our special sweet chilli mayo or squeeze of lemon on the side. 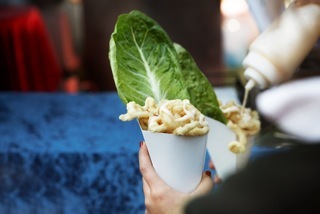 Presented in our unique white cone with cos lettuce ... just follow the burley trail to our stall. Fishing tips are provided for free and quality ring is our guarantee.